To hear Nissan describe their latest and greatest pickup, the Titan XD, you’d think it’s the Goldilocks of trucks: nothing less and nothing more than you need. That comes in sharp contrast to the gorilla-like chest thumping that’s usually on display when new trucks launch. It makes Nissan’s strategy of slotting the XD somewhere between light-duty and heavy-duty pickups seem downright reasonable. 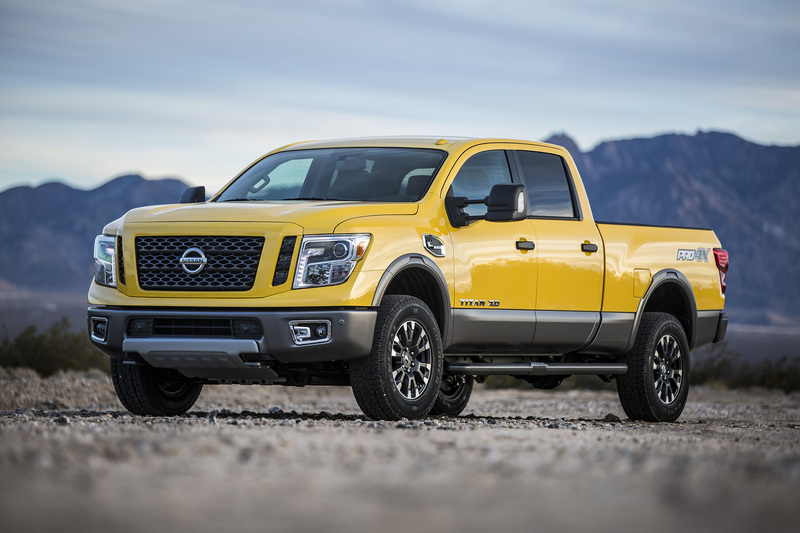 The Nissan Titan XD is the first of several new Titans to hit the market. Powered by a Cummins diesel engine, it is designed to offer more capability than a light-duty truck. At a time when the Ram 3500 boasts of a ridiculous 31,210 pounds of towing capability — a number laughably high for most people who tow, although very useful for a select few — the new Nissan is coming to market with a number roughly one-third that size. It can pull 12,314 pounds. It’s a refreshingly honest, logical approach in a category that doesn’t always play by the rules of common sense. I’ve driven the Titan XD twice now — briefly in Texas and a more extensive drive in Arizona — and it comes across as a highly capable, surprisingly refined truck for people who need a bit more than what light-duty pickups can offer. Its best feature, by far, is its powertrain. A 5.0-liter Cummins diesel V8 is designed for heavy-duty jobs, not supreme fuel economy like the Ram EcoDiesel. It makes 310 horsepower and 555 lbs.-ft. of torque, all of which is routed through an Aisin six-speed automatic. It offers effortless acceleration when unloaded and, the best compliment you can give a truck, plenty of confidence when towing. I pulled a 9,000-pound trailer up and down a 6-percent grade in Arizona, and everything about the Titan XD seemed up to the task. There was no suspension sway, no sweat climbing hills, and no trouble bringing the load to a stop. The interior is a huge upgrade over the old Titan, although I’m not sure it’s the best in this class. Pickup interior designers are doing amazing work recently, and hard plastic where you rest your arm on the door was the only unforgivable sin I could find. 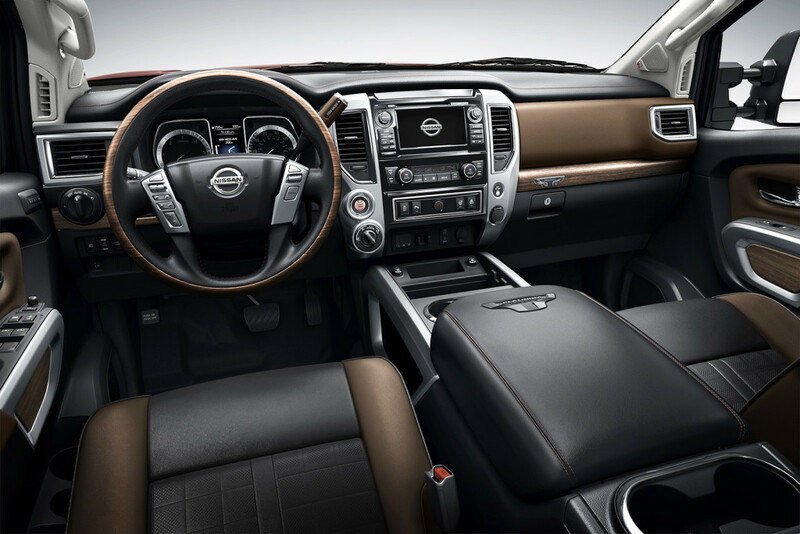 The Platinum Reserve trim level, shown here, is Nissan’s new entry in the fast-growing luxury truck segment. In terms of materials, I have no complaints. The leather feels soft and thick, like it could last 100 years. I also like all the thoughtful, helpful features Nissan has to help owners make the best use of their truck. An integrated gooseneck trailer hitch is built into the bed; Trailer Light Check lets you check that the brake lights, turn signals and other lights are all working, without needing a helper in the cab; bedside storage can be removed when you need to haul a big payload; and the genius Utili-track system is perfect for tying down your cargo or toys in the bed. Pricing starts at $40,290 for the Titan XD S and ranges to $60,520 for the luxury-oriented Platinum Reserve trim with four-wheel drive. After the initial launch of the diesel-powered XD, new Titans with V8 and V6 engines are expected to follow. It offers a lot of confidence when towing and a surprisingly refined ride. Its diesel engine from industry leader Cummins is phenomenal.